Running a distribution center is no easy task. Managing details while keeping things running smoothly encompasses the daily grind of a logistics manager. Not only do these managers handle shipping companies and freight brokers, but they also need to organize goods properly and efficiently. Distributor logistics also means getting the right products to the right location on time and at a competitive cost. But what are some standard duties a logistics manager can expect? Keep accurate records like timesheets, reports, billing, and customer history. Process orders and organizing the dispersal of goods. Implement policies and procedures surrounding logistic processes. 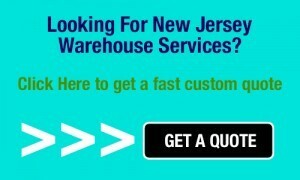 Negotiate cost-effective shipping and transportation rates. Keep staff adequately trained and knowledgeable. Stress the importance of health and safety in the workplace. A logistics coordinator can be found behind a desk or on the floor, working closely with staff ensuring the accuracy of every detail. However, because of its nature, distribution logistics offers plenty of problematic issues on a regular basis. A logistics manager deals with and analyzes large quantities of information daily. This includes fleet loading, fuel bills, route mapping, and logistic reports along with a myriad of other distribution activities. Making sure every piece of information is accurate and accessible can become daunting very quickly. Companies, big or small, require a certain amount of transportation options to maximize dispersal and movement. Bigger companies have more assets and goods to manage, which falls under the responsibility of the logistics manager. Keeping track of fleets, routes, and cargo can be stressful because of uncontrollable factors like accidents or weather. Logistics management also needs to make sure all vehicles get the proper maintenance to continue steady movement. If one vehicle breaks down, a whole new route needs to be mapped out immediately. Maintaining clear communication with drivers and operators may be difficult at times due to geographic location differences. A large fleet in remote areas could be hard to manage without reliable communication. Therefore, standards and procedures should be understood by both operators and managers to ensure positive shipping outcomes. Tracking the performance of drivers and operators is also a regular obstacle. Without a fleet tracking system, monitoring breaks and safety rules can be almost impossible. While breaks are essential for all employees, long or unscheduled ones can negatively impact the distribution center. Unsafe driving can also create problems for customers and other drivers on the road. Managing and addressing negligence surrounding performance or safety needs to be addressed immediately by a logistics manager. Most logistics managers agree that meeting customer expectations and delivering products on time remains a top priority. Most customers want visibility on all orders. This means that detailed documentation needs to be maintained surrounding the lifecycle of each order. Customers also need the flexibility to change their orders unexpectedly, maybe even a day ahead of delivery. Logistics management has to ensure easy accessibility to all documentation along with an open flow of communication. Any complaints that should arise also have to be dealt with quickly and effectively. Whether on the floor or behind a desk, logistics managers have a lot of responsibilities including health and safety, negotiating lower-costs, route mapping, maximizing loads, and conferencing with other leaders in the supply chain. To be an effective coordinator, these managers need problem-solving skills, the ability to multitask, impeccable organization and communication abilities, and the innate or learned ability to predict future outcomes. A distribution logistics leader with these qualities will be able to face any obstacle, routine or otherwise, with ease and confidence.